One of the most anticipated and recently talked about films 12 Years a Slave has been grabbing the headlines for various nominations and wins that has earned credentials labelling it as one of the best films ever made. With all the buzz and speculation surrounding Steve McQueen’s newest phenomenon the expectations were set very high before viewing, but I can firmly say they were matched and exceeded. 12 Years a Slave captures such intense horror, pain and emotion in truly amazing style resulting in a flawless film from script, cast, crew and score. I can easily say that it will be a film to scoop not only many nominations but many Oscars in February’s prestigious ceremony. 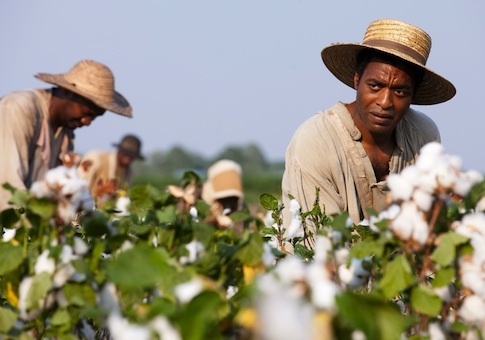 12 Years a Slave is a beautifully crafted portrayal of the harsh and brutal experience of Solomon Northup (Chiwetel Ejiofor), a freeman who was captured, tortured and then sold into slavery. We follow Solomon’s story starting in Upstate New York, Saratoga, where he’s a respected member of the community, having a family consisting of a wife and two kids in which he provides for by working as a violinist. However his happy and joyous life is soon taken away as he finds himself chained and imprisoned in a basement deep in Washington where he is then beaten and sold into slavery. Solomon’s day-to-day routine soon consists of brutal beatings and unhuman labour as he is passed around from slave owner to slave owner until he eventually settles down on the plantation of cruel Edwin Epps (Michael Fassbender). He soon finds himself a target due to his dignified actions and gets caught up in an act of jealously between plantation owner Epps and a young slave girl. After many attempts and ideas of escape failing, Solomon finds hope when meeting a Canadian abolitionist named Bass (Brad Pitt) in his twelve year. 12 Years a Slave portrays such a tragic and horrific story with such art and realism you can’t find a single fault. Each painful and brutal beating and whipping is shown with such horror and precision it’s truly powerful. Steve McQueen captured such emotion with his film forcing you to get so wrapped up and involved in the story, you feel the need to help Solomon out constantly creating a great amount of sympathy. The performances captured and displayed by all the cast are brilliant and I personally feel it’s one of the best displays I’ve seen in recent years with so many standouts. 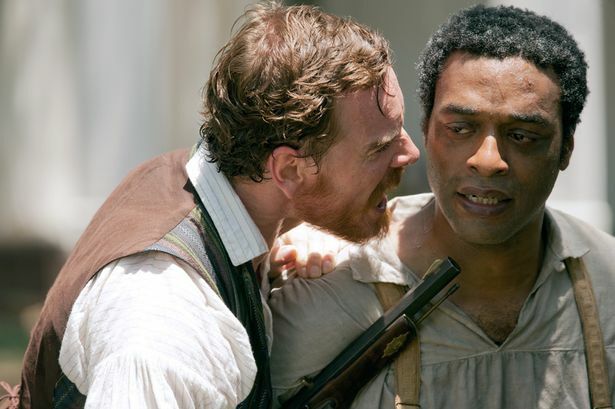 Chiwetel Ejiofor is the obvious highlight as he plays the traumatised Solomon Northup throughout but his performance is far from glamorous and showy but real and painful. With such a display there will be no surprise that he’ll be up to his neck in best actor nominations. Michael Fassbender too should be applauded for a great performance and one that is surely the highlight of his career. The brilliant ensemble was then further added too by low key but perfectly executed displays from both Brad Pitt and Benedict Cumberbatch. It is obvious that it was the acting and performances that made 12 Years a Slave shine but Steve McQueen’s also added his respectable brilliance that again should be rewarded with a fistful of best picture nominations. Many awe-inspiring bright scenery and life-like shots featured throughout breaking up and juxtaposing the brutality of the other scenes with its admirable beauty. 12 Years a Slave although only a month into the New Year is firmly staking its place as the highlight release from 2014. Not only does 12 Years a Slave achieve such powerful and impacting results due to the technical and acting quality but the real-life biographic element truly finishes this film of. Adapted from the book from Solomon Northup – Twelve Years a Slave writer John Ridley has worked wonders. When the words “these events actually happened” lay place upon the screen it is then the pain truly seems to hit in along with the heart-ache. There are no questions about it that 12 Years a Slave will be the one to beat come the Oscars and there’s no competition when it comes to comparing Steve McQueen’s biographic drama to other films reflecting the horrific slave-era. 12 Years a Slave is a must-see release that will be referred to for a long time to come, emotional, powerful and truly impacting 12 Years a Slave is faultless. I agree. It’s a brilliant and unique film that’s more than deserving of the praise it’s getting. A fine review. An amazing film, probably the most harrowing film I’ve ever watched. Fine review, I hope to see this movie soon. Thanks, let me know what you think when you do! Agreed. This movie is awesome, probably am instant modern classic. It wont be forgotten for a longgggg time!